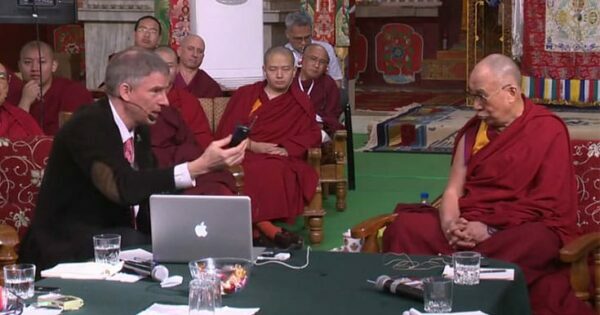 Neuroscientist Christof Koch discusses scientific theories of consciousness with the Dalai Lama. 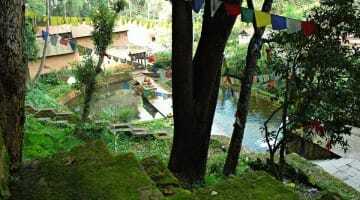 In 2013, Koch, one of the world’s leading experts on consciousness, went to a monastery in India to discuss that question with a group of Buddhist monks. He and the Dalai Lama debated neuroscience and mind for a full day. They had different approaches. Koch offered contemporary scientific theories on the subject, and His Holiness countered with ancient Buddhist teachings. Yet, at the end of their discussion, the two thinkers agreed on almost every point. Panpsychism, the idea of universal consciousness, is a prominent thought in some branches of ancient Greek philosophy, paganism, and Buddhism. And it has been largely dismissed by modern science — until recently. Tononi’s theory states that consciousness appears in physical systems that contain many different and highly interconnected pieces of information. Based on that hypothesis, consciousness can be measured as a theoretical quantity, which the researchers call phi. Tononi has a test for measuring phi (the amount of consciousness) in a human brain. It is similar to ringing a bell; scientists send a magnetic pulse into a human brain and watch the pulse reverberate through the neurons — back and forth, side to side. The longer and clearer the reverberation, the higher the subject’s amount of consciousness. Using that test, Koch and Tononi can tell whether a patient is awake, asleep, or anesthetized. There are already pressing and practical needs for a way to measure consciousness. Doctors and scientists could use phi to tell if a person in a vegetative state is effectively dead, how much awareness a person with dementia has, when a foetus develops consciousness, how much animals perceive, or even whether a computer can feel. 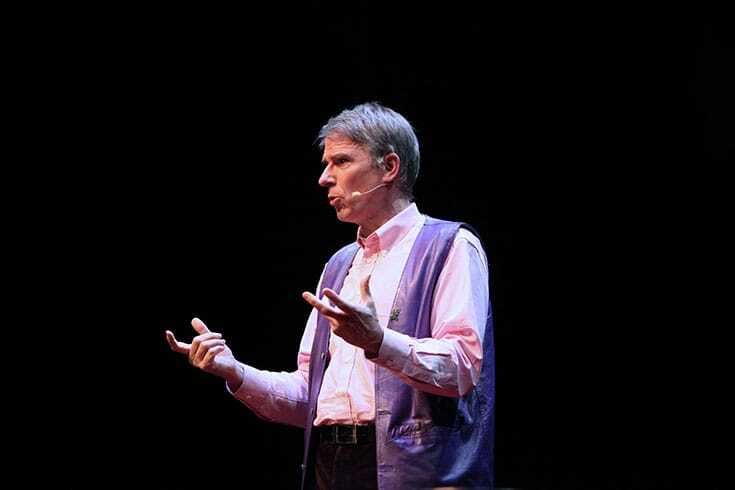 Christof Koch speaking at TEDxRainier Seattle. IIT also marries these practical applications with profound ideas. The theory says that any object with a phi greater than zero has consciousness. That would mean animals, plants, cells, bacteria, and maybe even protons are conscious beings. 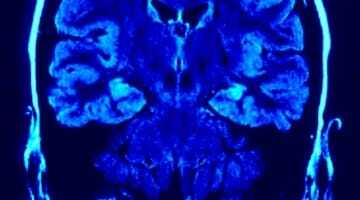 Modern research and recent dialogues between Buddhists and scientists have focused mainly on understanding the physical brain. But scientists have barely begun to develop an understanding of mind — or consciousness — itself. On the Buddhist side, however, this is a discussion that has been going on for thousands of years. Buddhism associates mind with sentience. The late Traleg Kyabgon Rinpoche stated that while mind, along with all objects, is empty, unlike most objects, it is also luminous. In a similar vein, IIT says consciousness is an intrinsic quality of everything yet only appears significantly in certain conditions — like how everything has mass, but only large objects have noticeable gravity. In his major work, the Shobogenzo, Dogen, the founder of Soto Zen Buddhism, went so far as to say, “All is sentient being.” Grass, trees, land, sun, moon and stars are all mind, wrote Dogen. Koch, who became interested in Buddhism in college, says that his personal worldview has come to overlap with the Buddhist teachings on non-self, impermanence, atheism, and panpsychism. His interest in Buddhism, he says, represents a significant shift from his Roman Catholic upbringing. When he started studying consciousness — working with Nobel Prize winner Francis Crick — Koch believed that the only explanation for experience would have to invoke God. But, instead of affirming religion, Koch and Crick together established consciousness as a respected branch of neuroscience and invited Buddhist teachers into the discussion. At Drepung Monastery, the Dalai Lama told Koch that the Buddha taught that sentience is everywhere at varying levels, and that humans should have compassion for all sentient beings. Until that point, Koch hadn’t appreciated the weight of his philosophy. The theory of IIT shows promise for the future. With more research, Koch and Tononi could better test consciousness, to prove scientifically that all beings are sentient. Meanwhile, Buddhists around the world are constantly working to develop an understanding of the mind. Traleg Rinpoche said that analytical methods can only go so far toward understanding the mind. Instead, he says, by resting his or her mind and contemplating it, a meditator can develop an understanding of the nature of mind and how it relates to everything else. Understanding the source of consciousness is an extremely difficult hurdle, but Koch is up to it. He says that his ultimate goal is to understand the universe. Some say that the best way to do that is to look inside your own mind. Maybe Koch is on to something.